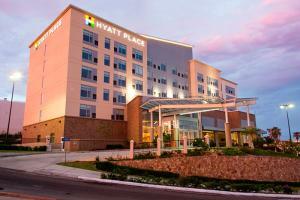 Hyatt Place Los Cabos hotel, located on Paseo Malecon in the exclusive Tourist Corridor, is the perfect location for leisure travelers. Guests can unwind and relax in one of the spacious guestrooms, complete with the famous Hyatt Grand Bed. The hotel is located near the stunning southern Baja beach, where guests will have access to a variety of activities, from golf to surfing, and much more. Located at the southern tip of the Baja California Peninsula in San Jose del Cabo. Historic Downtown, San Jose del Cabo Art District, Theater, Municipal Palace, San Jose Mission, Golf Courses, the new Marina in Los Cabos port.